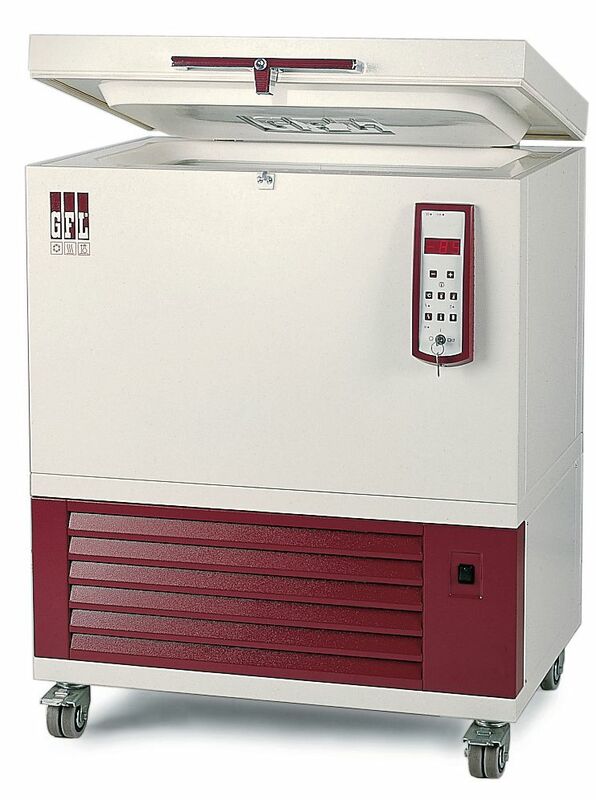 Deep freezers are equipped with both microprocessor technique and an interface module for convenient remote control, monitoring and temperature recording via PC. The inside cabinets are manufactured completely of stainless steel, are corrosion resistant. They are free from ignition sources, we can store media with low flash points and are ex-proof . The cooling air outlet is located at the front of the unit, meaning that explosive gases cannot be drawn in when the lid or door is opened. The magnetic sealing system reliably prevents freezing of the lid or door seals. All chest lids are balanced and easy to operate. The housings are made of powdercoated, electrolytically galvanised sheet steel. All deep freezers come with double wheel swivel castors, two of which can be locked, for transport to the place of use and for mobile applications. 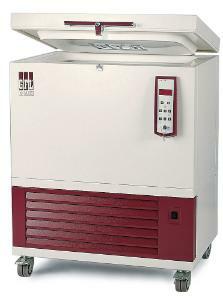 They are used in research institutes, universities, hospitals, blood banks, pharmaceutical and chemical companies have com. They also frequently used for various material tests, such as for quality assurance testing of plastics and adhesives, paints and varnishes, ball bearings or road paving materials. 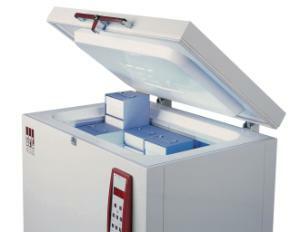 Lieferumfang: Spare parts can be delivered from stock for all deep freezer models. GFL guarantees their availability for ten years.